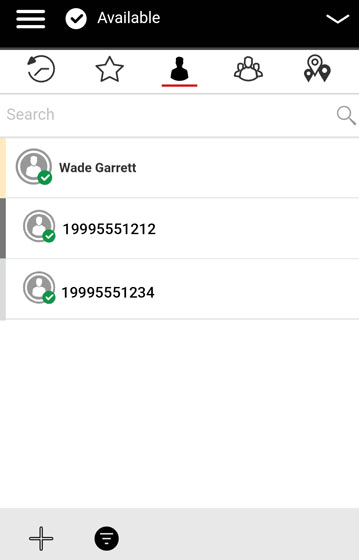 Admin-managed (non-personal) contacts can't be edited from within the Push To Talk Plus app. An existing contact number can't be edited. To change a contact number, the contact must be deleted then added back with a new number. From the Contacts tab, tap and hold the appropriate contact then tap Contact Details. Tap Color then select a color from the list. Tap the Default icon (in the upper left) then select an avatar from the list. Alternately, tap the Camera or Gallery icons to take or select a photo to use as an avatar.